Some situations require additional, specialized software to complement the standard turbomachinery design workflow. 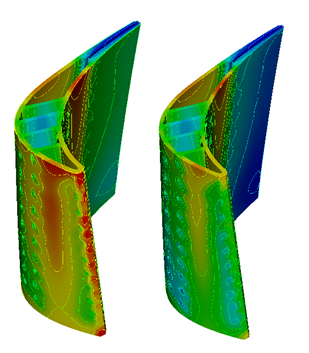 To address one such need, Concepts NREC has developed a tool for the preliminary design of actively cooled, axial turbine blades, called CTAADS. We also distribute the industry-leading Dyrobes rotordynamic analysis software that includes bearing and seals. 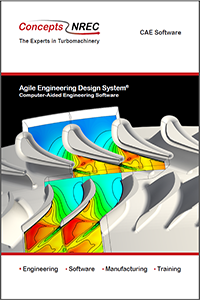 We are committed to adding additional tools to the Agile Engineering Design System to help solve the toughest design problems faced by turbomachinery engineers. 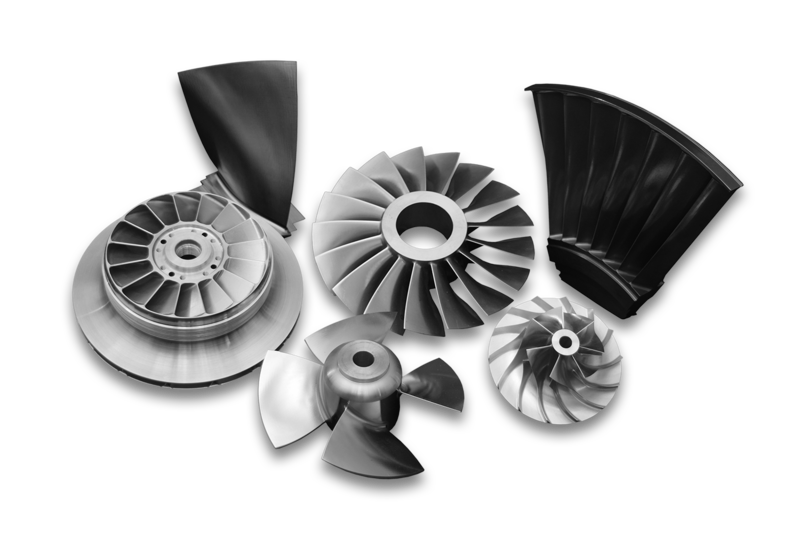 Our Cooled Turbine Airfoil Agile Design System (CTAADS) provides a systematic and rapid 3D modeling approach to cooling system design for axial turbine vanes and blades. The system includes many features that significantly reduce the time and cost to generate airfoil cooling-passage geometry and perform a complete 3D thermal analysis. CTAADS is capable of working either with AxCent (highly recommended) or as a stand alone module. TurboOPT II enables the designer to achieve an optimal design quickly based on lowest cost, lightest weight, highest performance, longest life, or any combination of these. TurboOPT ll provides optimization across every module in the Agile Engineering Design System with a flexible user interface, and performance maps for each variable. Optimization workflows can be set up in minutes using turbomachinery specific parameters, where achieving this same type of optimization using generic (non-turbomachinery specific) software would be tedious and prone to errors. Users also have the option of using the built-in optimization algorithms or choosing from any of the well-known third party optimization systems. GasTurb is a powerful and flexible gas turbine cycle program that simulates the most important gas turbine configurations used for propulsion or power generation. It simplifies the tasks that performance engineers encounter most frequently with a user-friendly interface that presents information in both easy to understand lists as well as graphically.